Unless you're one of the few people that actually enjoyed the 1993 Super Mario Bros. movie, you probably think that Mario and Luigi are long overdue for a proper cinematic outing. Fortunately, your prayers might be answered — but it looks like the people who made Minions are getting involved. According to the Wall Street Journal, everyone's favourite former plumber is nearing a deal that will see him brought to life in a cartoon movie from Illumination Entertainment. 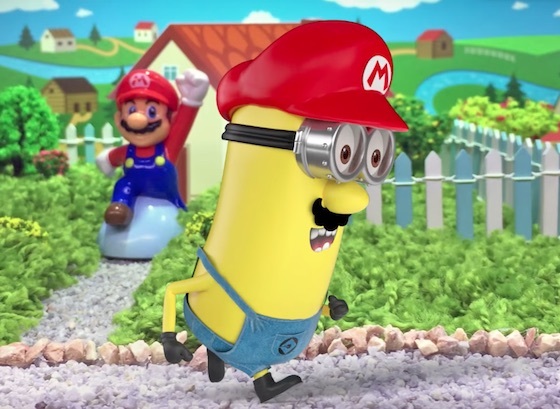 The Universal-owned company is the same one that brought us Despicable Me and, yes, those damned Minions spinoffs. Apparently, one of the biggest hurdles in their negotiations is that Nintendo wants to make sure they retain a great deal of creative control. It looks likely that Mario creator Shigeru Miyamoto would be on hand as a producer.